First, I want to announce the winner from the Summer Awards Post. The winner is... Lisa from Always an Adventure in Kindergarten!! Congratulations, Lisa!! We will be emailing you, so think about the awards that you wish to have. This week, I will be assessing my students on letter-sound production. As we approach the end of the school year, my kindergarteners are having some difficulty staying focused and on task. 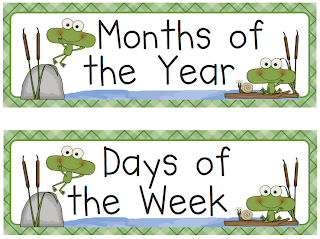 I created this freebie to use for assessing, but my students will stay on task using the popsicle stick and frog. They will "hop" as they produce the letter sounds. We will complete this as a group first. We will do it very slow and work our way to fluently reading these to a partner. Click here or the picture below to get your free copy. 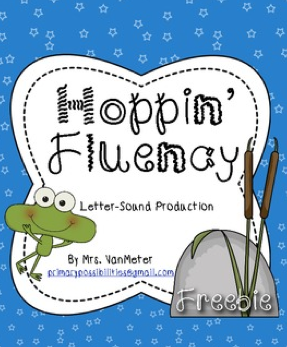 Stephany also has a Frog Themed Nonsense Word Freebie. 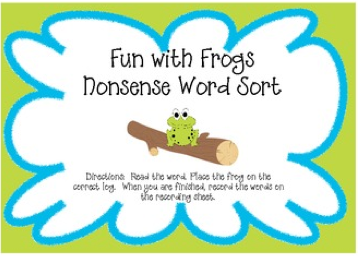 Students sort the frogs onto "Real" and "Nonsense"logs and then record their answers onto a recording sheet. 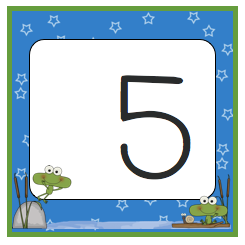 Use this activity to help boost your students' NWF scores on DIBELS. 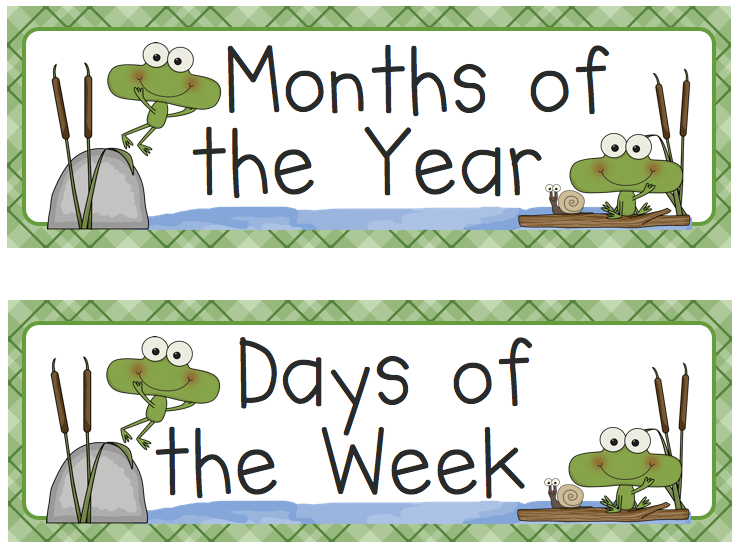 I also am working on a This and That Classroom Theme set for Frogs!! I am far from being finished; as it is a large file. My hopes is to have it posted before May. Here is a preview!! It will include Nameplates, Months of the Year, Days of the Week, Calendar Numbers, 'Hundreds, Tens, Ones' Chart, Odd/Even number of the day, Name Tags, Classroom Numbers, Mailbox Numbers, Table Tags, Classroom Jobs, Supply Labels and Labels for Helpers. I will post it on our Facebook page as a flash freebie as soon as it is completed. Be sure to follow us on Facebook to get the latest news and updates. I walked into Stephany's classroom last week and her class had made an incredible frog life cycle book. Later, she will get it up her for you to see!! She has some of the greatest ideas!! 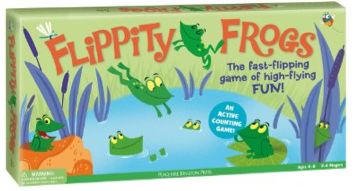 Have you seen this frog game? It is super easy and so fun for the kids. Check it out here or click the picture below to go to Amazon. 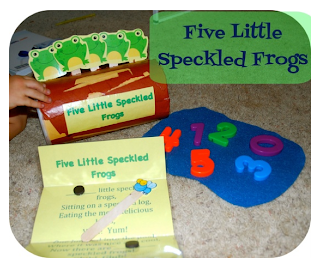 There are so many neat ideas out there to teach with frogs. I was just looking through Pinterest and found these ideas. 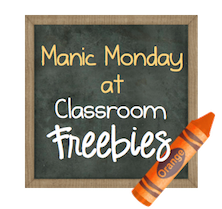 This is really a great freebie! 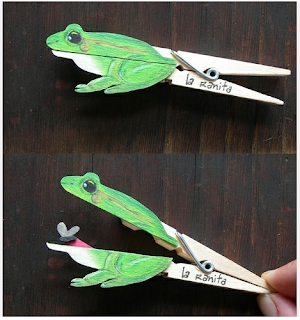 I love anything with frogs!